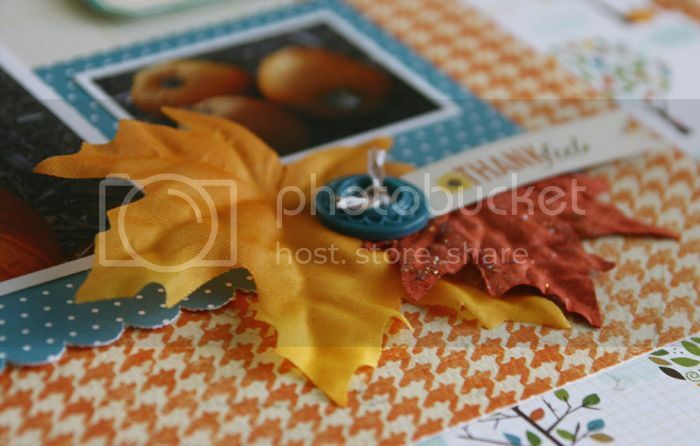 Beautiful fall layout, Mary Ann! The sparkly leaves are fun tucked in there! Beautiful page! Love your design! I love the leaves!! 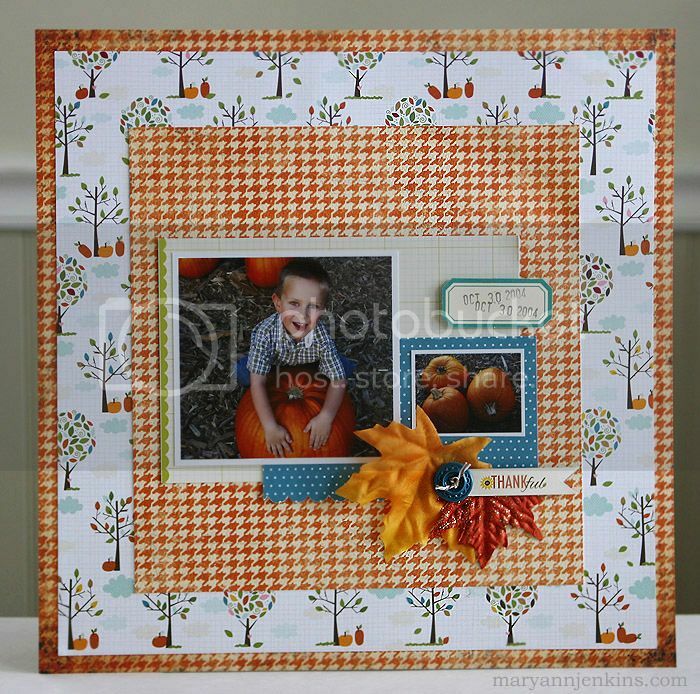 Fabulous fall layout! I agree. The weather here has been gross. When you live this close to the beach and its still 100 degrees, something isn't right. Love the colors of this page. Great layout...I love these sparkly leaves! Love this page Mary Ann!! Fall is my favorite Season and this is a perfect use of the Fall products!! We have a little cold front coming through this week and I am so looking forward to it!! Love the colors... especially the pop pf blue! Great colors- like the layering too! This is gorgeous. I love how you used the leaves!